Continuing on the 1001 Nights series of Hello! Shop events, it's H!P Leader Yajima Maim's turn at-bat! Held on the 30th of January 2015, the event's theme was '100 questions to Yajima Maimi'. The event's Twitter hashtag was #今夜一夜干し. This second part will cover questions 51 and beyond. The first 50 questions were already covered in a previous update. Virtually all of these answers came from @tozamasan, so I'll just be linking his tweets in the question number. Here's a log of tweets of the event. Again, usual disclaimer applies - These come from tweets that summarise what Maimi talked about during the event, and they're being translated, which only adds to the miscommunication potential. For translations of previous entries in this series of Hello! Shop talk shows, see KanaTomo's (My translation, Jicchan's on the 50 questions), Sayu's (excerpts from Wota in Translation), Fuku-chan's (50 questions), Airi's (first part, second part), and Captain & Miyabi's. Q51 What if, as H!P leader, you had the special privilege of forming a unit? Nishiguchi: What if you can't give it the name "MukiMoni"? Q52 An ideal story you'd like to do on radio. Q53 Where would you like to go on bicycle? Q54 What's something you've broken recently? Eh, what should I do? Q56 What's something you haven't been frank about? I don't have anything I'm holding back! Do I? Maimi: I don't keep secrets! Q57 What sort of hobby-like sport - like skiing, snowboarding, or airsoft - would you like to try? As a leader, you can't go with the flow. Q59 A Yajima-san oshi in my circle of friends is getting married, so could we get a congratulatory comment? Q60 What's the secret to enjoying everything? Q61 What made you laugh the most this year? 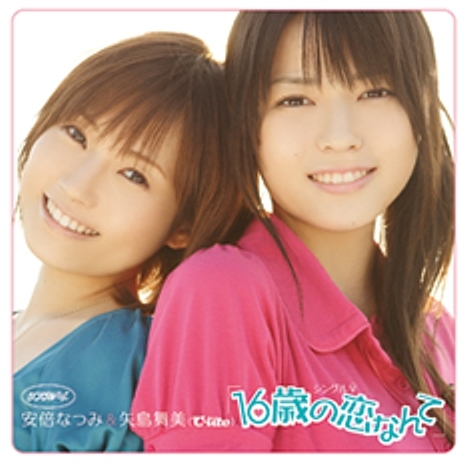 Q62 When you turn 26, who would you like to sing '16sai no Koi nante' with? 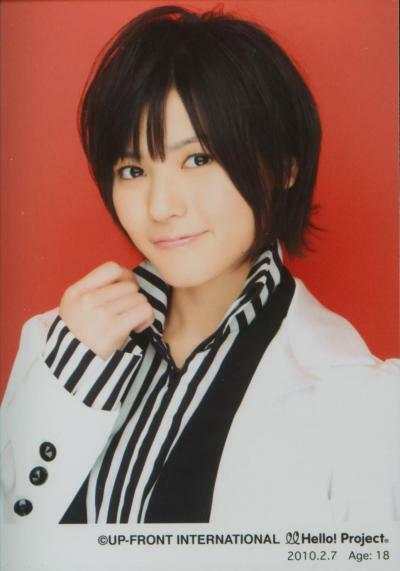 Q63 If you were to hang out with Ikuta Erina-chan, what would you do? Do I have any? Eh!? Q66 What's a recent episode where you got seriously angry? Don't think there are any-, what could it be? Q67 How did it feel to give a pep-talk as Hello! Pro leader? Q69 How crazy is ℃-ute's muscle training? Q70 My tummy is flabby. How do I get a six-pack? Q71 Is there a woman you look up to? Q72 If there was an athletic meet, which member do you think would give a good fight? Q73 Where would you like to go in Hokkaido? Between Airi and Mai-chan, who'd you go with? Wouldn't it be all right for the 3 of us members to go!? Q75 At home, do you refer to yourself as 'Watashi'? Nishiguchi: Is there a difference between the intonations? Q76 What concert ideas weren't used? Q77 As Leader, what do you think of the situation where people are increasingly oshihen-ing to new members? (Nishiguchi: Is there anyone who's moved from Yajima-san? Q78 What are ℃-ute's current challenges? Q79 How do you fix your make-up when you have 2 or 3 performances? Do you clean off everything? Or not? Q80 Where would you like to go overseas as ℃-ute? Q81 Which do you want? Q83 What is something that ℃-ute won't lose to other idols in? Q84 What does Yajima-san think an idol is? 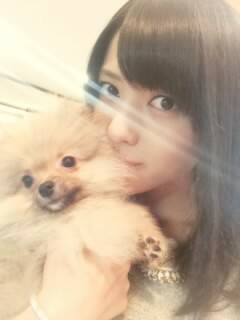 Q85 Is there anything that Maimi-chan has seen that made you think that it wasn't true? And so, don't believe in rumours! Q86 When do you plan to cut your hair short? Q87 What's the secret behind ℃-ute continuing for 10 years? Q88 If you were to go on a trip, who would you go with and where to? Q89 What's your goal for the year, or something you want to do? Q90 What song do you want to sing at Yokohama Arena? Q91 If you were reborn, would you still want to be an idol? Q93 Do you enjoy acting? Q94 Your favourite new H!P member that you'd like to recommend? Q95 What the difference when you compare the new members with yourself at that time? Q96 Tell us of a time you thought you were malicious. Q97 Which hairdo do you want to do, and which don't you? Q98 What sort of fans are good? Q100 What's a cute, recent story about Toilette? Q101 Tell us a story of failing as Hello! Pro Leader? Q103 Foreign country you'd like to go to? Q104 If you lose sight of the members in the middle of a forest, who's the first person you look for?